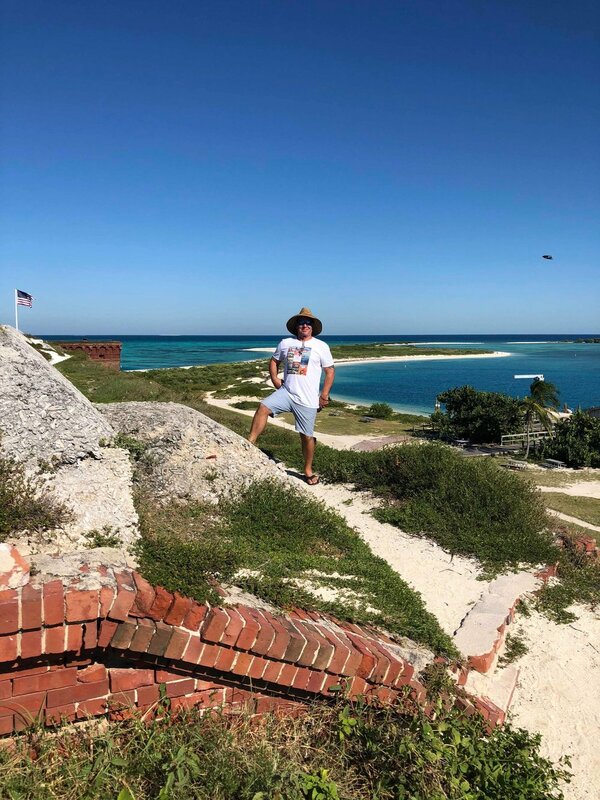 Dry Tortugas National Park, the least visited national park in the NPS system, is an extraordinary experience and well worth the somewhat difficult route it takes to add it as a stop on a road trip! 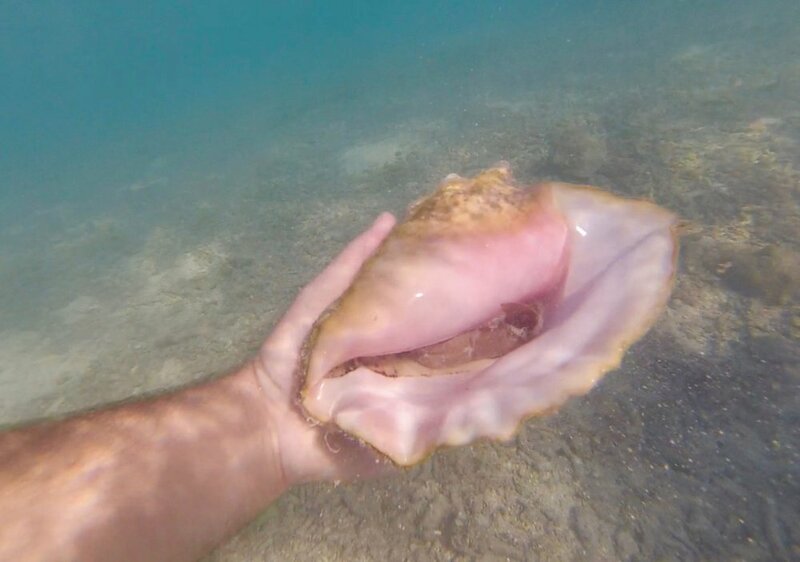 Seventy miles due west of Key West, Florida and only accessible by ferry, private boat, and seaplane, you find a tiny collection of Keys originally founded by Ponce de Leon in 1513 that named it Las Tortugas after the giant sea turtles he caught there. The name later evolved to Dry Tortugas in reference to the lack of fresh water to be found - 500 years later it is still a marine and bird wildlife oasis and eco-wonderland to behold! Known for its spectacular reefs and marine life, Dry Tortugas National Park encompasses a seven-island archipelago in the Gulf of Mexico and if that isn’t unique enough, the area of the park is only 1% land and 99% water! In 1846 the US Navy began building a fort to protect the Florida coastline. 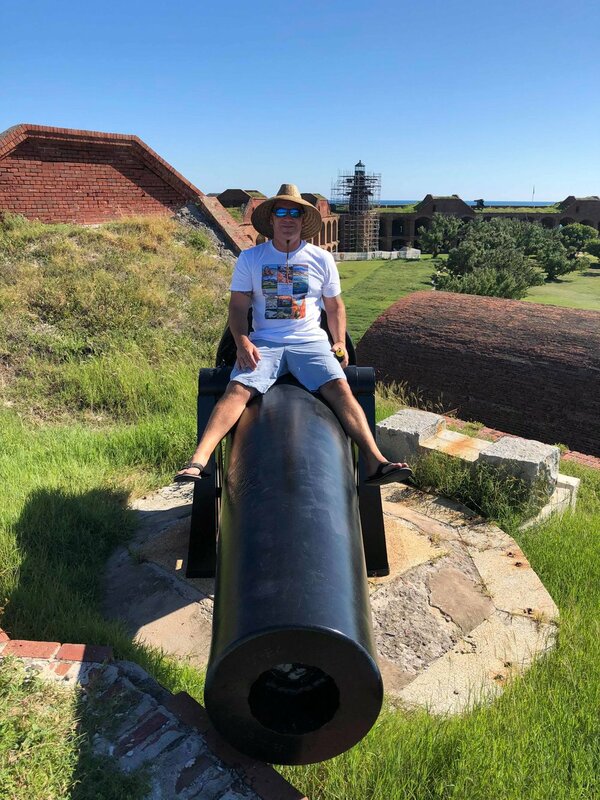 While still under construction, the Civil War broke out and Fort Jefferson was never finished, in fact it served as a prison during and after the war though incomplete. In 1935 Franklin Delano Roosevelt declared it a National Monument to protect the lands. 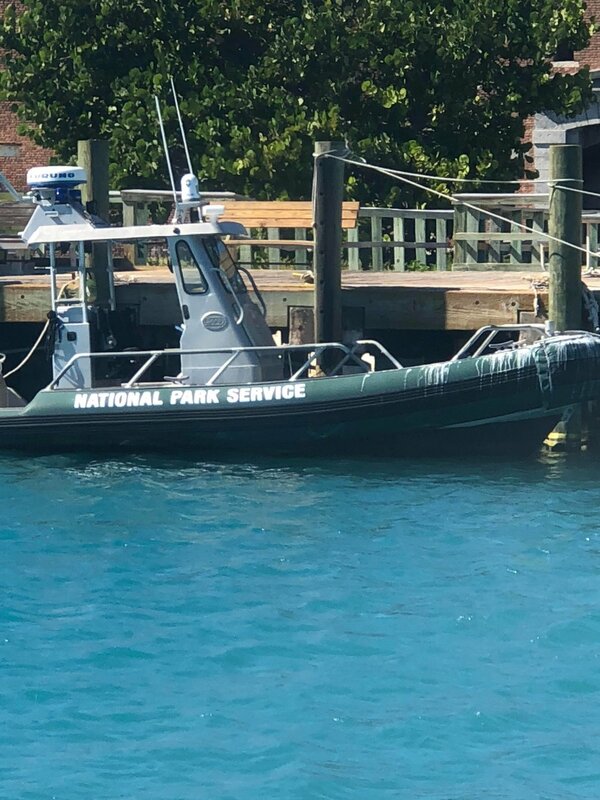 Next in 1983, the protection was expanded to cover the surrounding keys and marine wildlife and reef areas surrounding Dry Tortugas and finally in 1992 the conservation area was elevated to Dry Tortugas National Park. One of its coolest features for those that can get out on to the water with appropriate gear is that the area possesses one of the richest concentrations of shipwrecks in North America. Nearly 200 ships sank around Dry Tortugas before the construction of the Garden Key Lighthouse in 1825. 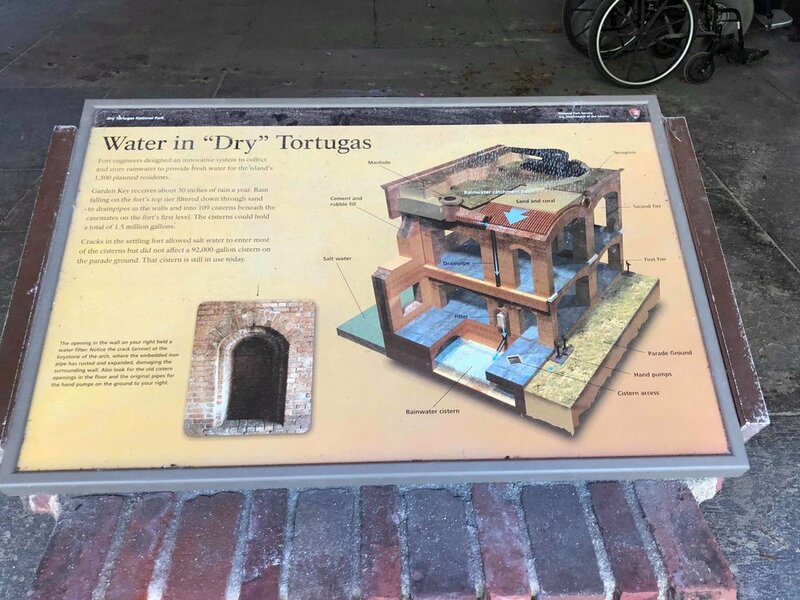 Dry Tortugas feature a borderline subtropical/tropical ecosystem that hosts numerous rare, endangered, and endemic species that do not normally breed anywhere else in the United States. The park’s coral reefs are home to barracudas, sharks and wahoos, as well as lobsters, sponges, and sea anemones. Dry Tortugas National Park is also the most productive nesting region for the green and loggerhead turtles in the entire Florida Keys. Five different species of Sea Turtles in the Florida Keys are listed on the Endangered Species Act. 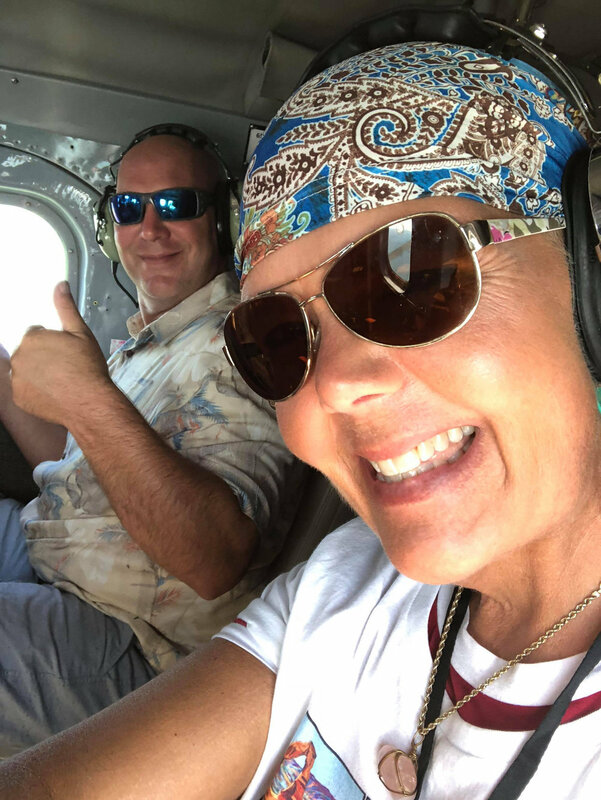 Open year-round, for scuba diving, snorkeling, along with birdwatching, marine life viewing, and historic touring, Dry Tortugas sees just 80,000 visitors a year. Fun fact: Ernest Hemingway is among the many famous people who have been a part of Tortugas history. During a tropical storm, Hemingway and a group of friends were stranded at Fort Jefferson for 17 days with only a short supply of canned goods, liquor, coffee, and the fish they caught from the ocean. Kelly and Mark with my brother Chris and me in France this past summer. Stay tuned for my next blog post with exciting news of what’s coming up this winter and spring for me and Postcards from the Parks! Older PostKey Largo & Windley Key Fossil Reef!